Did you ever think that all your favorite stars, who are leading successful lives and careers in the cinematic industry, could also have been dropouts? No right. And to increase your knowledge, we have prepared a list of infamous B-town stars, who put their career before education. And turns out that their decision (and luck!) worked well for them. Let’s have a look on these 7 Bollywood celebrities who didn’t finish their education for the sake making a successful career. Salman’s journey has been very interesting, as he completed his schooling from St. Stanislaus High School in Mumbai and then attended St. Xavier’s College, Mumbai. But he eventually dropped out from the college to pursue his acting career. What’s more surprising is that he wrote 3 scripts, long before he even started acting. Kareena was confused like any other girl in her twenties. First, she pursued commerce for two years at Mithibai College but lost interest in the field. So, she decided to pursue law from a Government Law College and studied there for about a year. But she finally dropped out to pursue her career in acting. Also read: 8 Rare UNSEEN Pictures of Deepika Padukone Before She Became a Superstar! The queen of many hearts, both in Bollywood and Hollywood, had to leave her education in between to pursue her successful career in modeling. Deepika Padukone enrolled herself for Bachelors in Arts from the IGNOU. Katrina’s mother was known to be a dedicated social worker, and due to which, Kat never got to attend a regular school. Relocating to different countries every now and then, she was homeschooled for the most of her life. Also read: 7 Things You Probably Didn’t Know About Katrina Kaif! 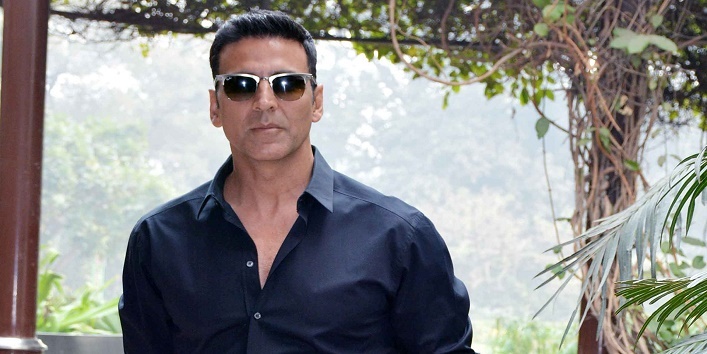 Bollywood’s real Khatron Ka Khiladi, Akshay Kumar dropped out from Guru Nanak Khalsa College in Mumbai, to get training in Martial Arts. I’d rather say to perfect his skill. Who could refuse a role in KJo’s superhit movies, and neither did Alia Bhatt! She did her schooling from Jamnabai Narsee School, Mumbai and didn’t look back when she landed a role in Karan Johar’s Student Of The Year. Aishwarya dropped out from the Rachna Sansad Academy of Architecture to pursue her career in modeling. She has always been a talented person since her childhood. Aish initially planned to pursue a career in medicine but then couldn’t keep her interest in the field. Whoa! That’s one list full of Bollywood’s biggest stars, isn’t it? Who could have imagined that?